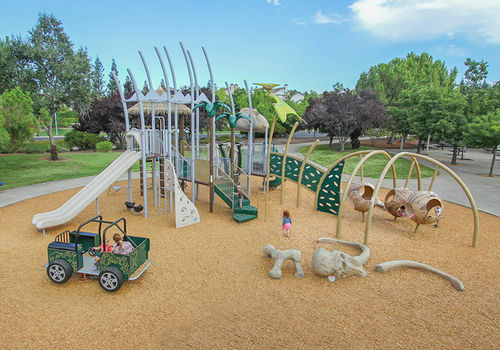 “Unique and different” were the words that the City of Roseville used to describe what they wanted when refurbishing an existing park. 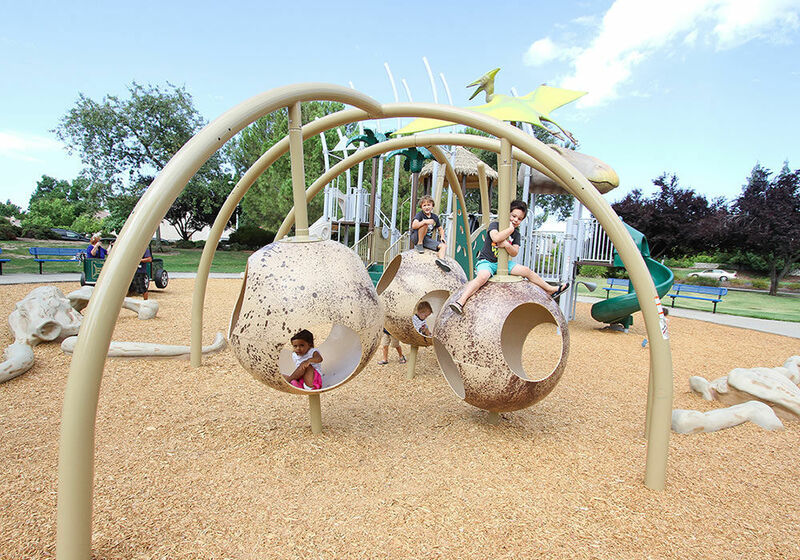 When Glen Wurster of All About Play heard those words, he knew he could create the destination playground the city was dreaming of. 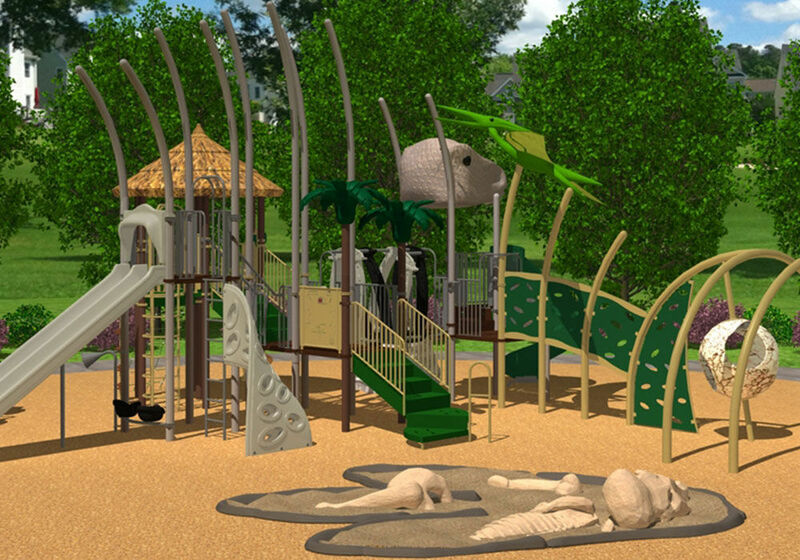 Inspired by an old dinosaur climber that the city wanted to keep, Glen dreamt up a dinosaur-themed playground that would transform the old park into a prehistoric wonderland. Working together with Glen, the Little Tikes Commercial studio of elite designers and engineers delivered with a roar! A pterodactyl flies high above the thatched hut and palm trees. The Tyrannosaurus rex watches as kids play inside dinosaur eggs. 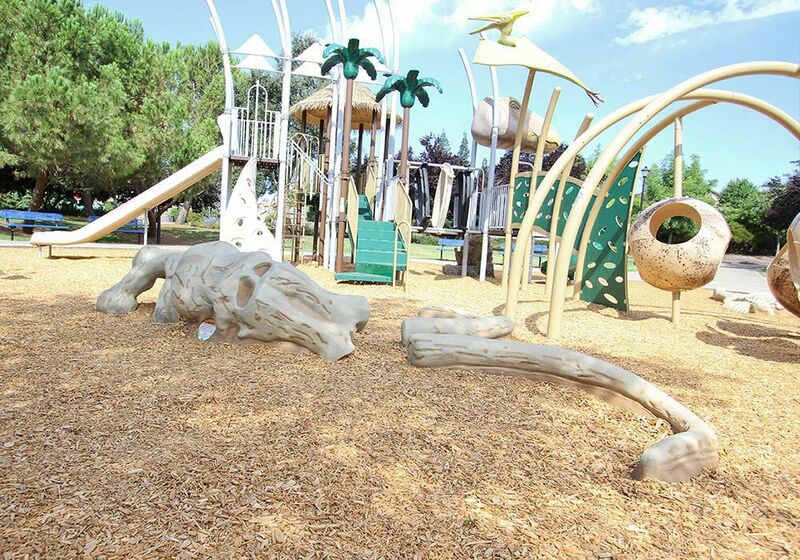 Complementing the playground structure are large mammoth bones and a safari jeep to get through the rough terrain! 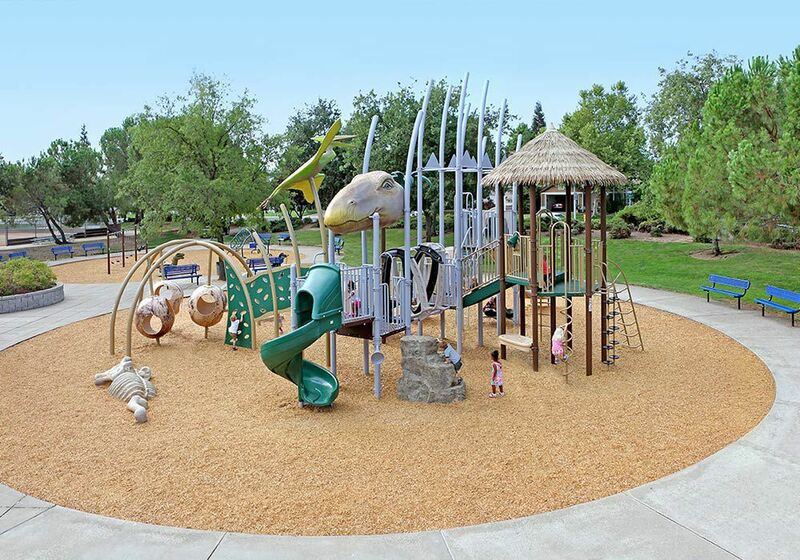 This playground is packed with play, loved by kids and parents alike, and is a landmark of the neighborhood.